Discipline is never easy, and after 26 years of teaching it still isn't, but I am hoping to focus this year on a new way to encourage making good choices! 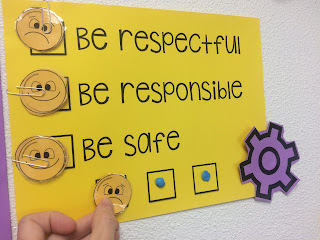 My biggest challenges always come in kindergarten and first grade so I am hoping to find a way to get even our struggling readers motivated to make good choices for the good of the team! 1. You will notice the K-5 yellow cards. That shows the grade level. 2. The colors are coordinated by the day of the week I have them. I have four regular ed. 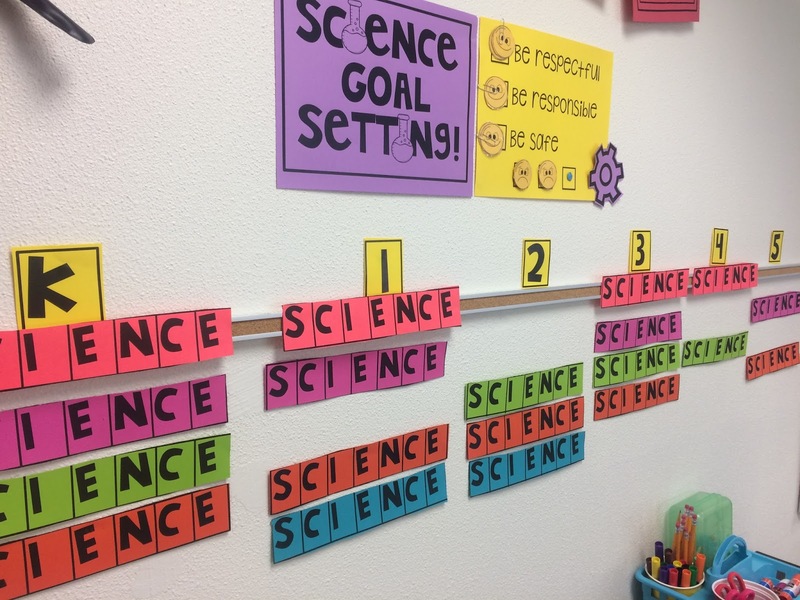 Science classes on Day one or red cards featured on the top lines. 3. 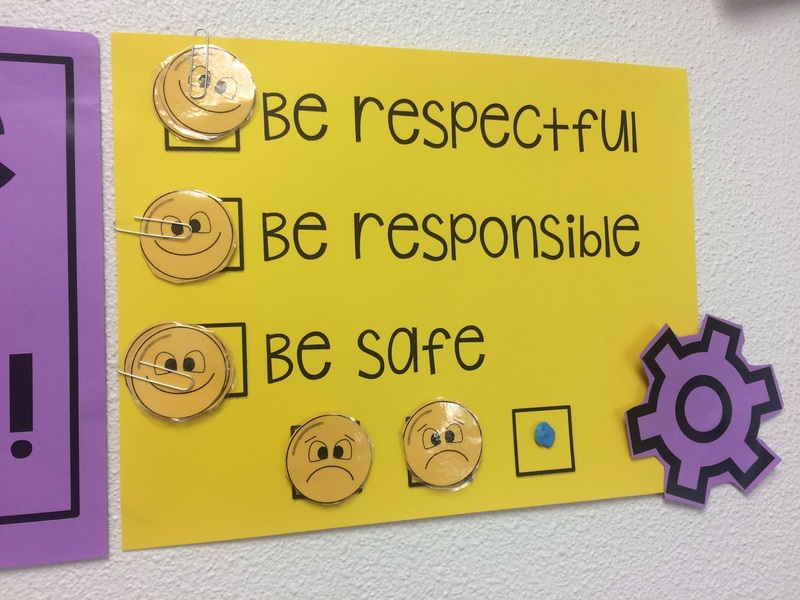 The yellow poster above the grades shows our core values at our school which are Be Respectful, Be Responsible, and Be Safe. When a negative behavior occurs, a reteach happens. I always refer to our behavior chart as I do that. 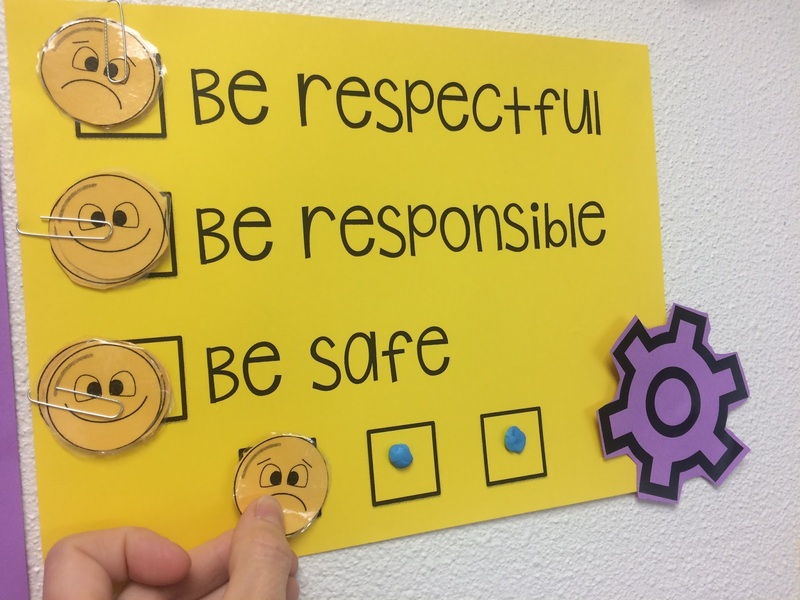 If the same child is causing the whole class to be unsuccessful three times, that child is not able to participate in group activities and their job is to watch for what respectful, responsible, and/or safe behavior in our room looks like. They may join the group after a conference and at times may do the activity at a table by themselves. Now, what happens if the class gets through a whole science hour long class without getting three strikes? 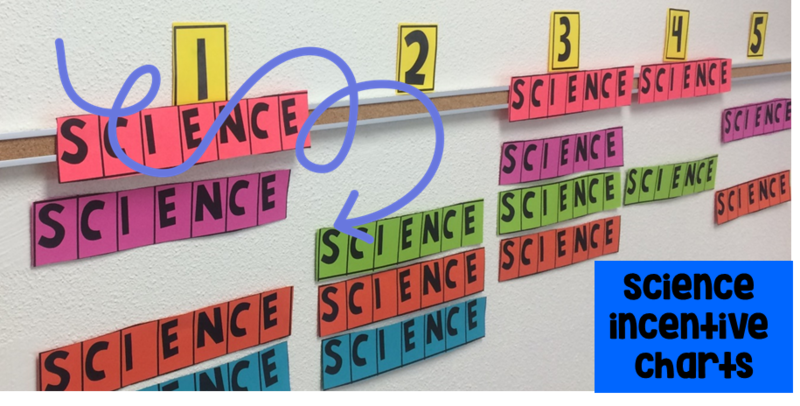 I place a smiley face on the first letter of science. Each week, they can add a new letter to science until they spell the whole word! Once the word science is spelled by a particular class, they get a STEM reward! Sneaky enough, I will tie it into something we are doing! 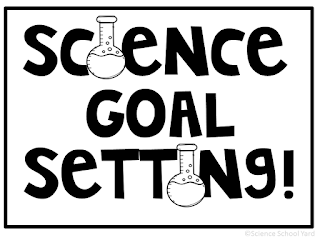 Whether it is a STEM reward or a fun activity that is ready to go when they reach their goal, working together as a team to help ALL students achieve is a goal that I am sure that we all have. In the regular ed. classroom your chart is different than a specialist, but working with over 15 different classrooms allows me to find ways to help our classrooms teachers, too. 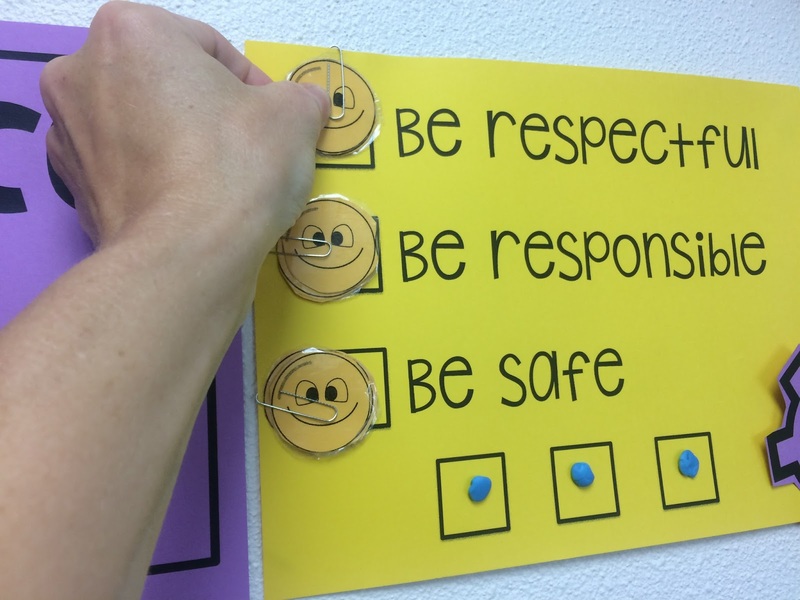 Having students learn positive ways to be respectful, responsible, and safe is good for EVERYONE! 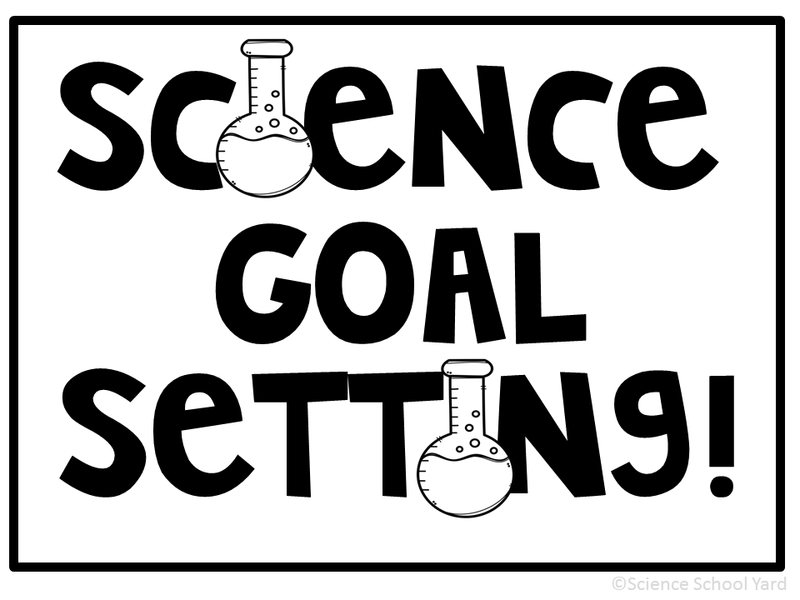 Sign Up and Get the Science Incentive Charts For Your Science Room!